Even the nicest of rooms can be ruined by a foul-smelling carpet. There are a whole list of causes for carpet odors, including an excess of moisture, like spills or flooding. The wetness causes mold which in turn creates an unflattering smell. The way in which you clean your carpet can also have an effect. If you use the wrong chemicals, use too much water or don’t keep your equipment clean, you run the risk of making your carpet smell. All hope is not lost however. You can remove odors from your carpets through different techniques. If you’re carpet has a smell that you don’t want, keep reading to find out how to get rid of it. It’s important to note that there are two different types of odors that can occur on your carpet. The first is what is called a surface odor, which happens when something has been spilt or dropped on the carpet and that’s what causes the spill (like an accident from a pet or dropped food). The first step in vanquishing surface odors is to grab some handy-dandy baking soda. This multipurpose powder is excellent for riding your home of nasty smells. Sprinkle baking soda onto the area that smells and work it down into the fibers of your carpet using a broom. People are hesitant to use a lot of baking soda, but the more you put down, the better it will get rid of the odor. A top layer should be put on top of the area as well and then you should leave it there for at the very least a day (two is better). When getting rid of the the baking soda, sweep the top layer off with your broom and dustpan then vacuum the rest up. If the odor is still present, then it’s time to bring out the big guns. White vinegar, mixed with an equal part of water, should do the trick. Put the mixture into a spray bottle and spray over the surface of the carpet. Let it sit for 20 minutes before using a cloth to dab the vinegar out. Blot the area with a water rag and and then use another rag to get any of the remaining water out. If the odor still persists after it dries, repeat the process vinegar process until the smell is gone. Another out-of-the-box treatment is to use cat litter. The main purpose of cat litter is to absorb odor, so it makes sense that it would work to get rid of any unpleasant odors. Simply set open containers of clean cat litter throughout the room, and make sure you change the litter regularly. Over time, it should absorb most of the odor. You may run into a smell that is caused by liquids and will be tougher to get out. When it comes to these types of odors, you’ll need to mix vinegar with some water carpet cleaning solution, such as isopropyl alcohol or a carpet shampoo. You’ll then need to either purchase or rent a carpet steamer. Pour the mixture into the liquid chamber of the carpet steamer and use as directed. If you aren’t comfortable using a steamer yourself, find a friend who has experience with steamers or call in a professional cleaner who will have their own cleaning machine. If you find that the liquid damage has not only lead to an odor, but also mold problems. It is wise to do some investigating if you even think there might be a chance there is mold under your carpet. Call a professional cleaning service to help you find out if there is in fact mold and they will help you remove the carpet and treat the affected area if there is in fact mold. Got a Carpet Odor Problem? Reach Out Today! ServiceMaster specializes in all types of cleaning, which includes your carpet. With a name that is synonymous with the best in cleaning for over 50 years, we possess a team of experienced professionals whose knowledge is industry leading for both our residential and commercial clients in the Twins Cities area. Our goal is simple – provide exceptional cleaning results without the headaches. We accomplish this by operating business anchored in integrity with an emphasis on customer service. 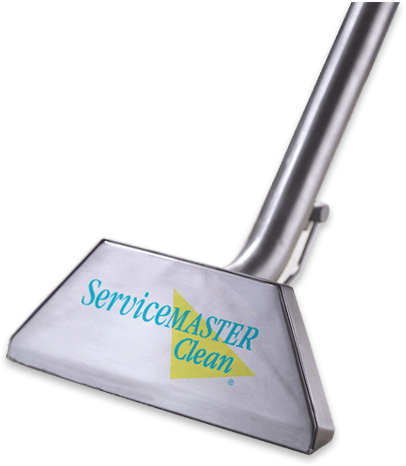 If you’re in need of an emergency odor clean-up, or just need a routine cleaning, reach out to ServiceMaster today!